It’s our mission to provide the Best Limousine, Party Bus and Limo Rental service that brings class, quality and reliability together for your special wedding, party or event. RockStarz Limousines and Party Bus believes in a sense of personalized service that accommodates customers transportation needs 24 hours a day, 7 days a week, any time, for any occasion, to any destination, at affordable rates. Our fleet of privately owned and partner Limo Buses and Limousines are the newest and highest quality in Detroit and surrounding area. Reliable Party Bus and Limousines ensure that the only surprises during your booking are the memories you and your guests create along the way! Our RockStarz fleet are equipped with the latest technology including TV screens, LED Lighting, and premium sound systems, so one thing we are not cheap in is our luxurious limousines. We serve Southeast Michigan with the best limousine and party bus services for your wedding, bachelor party, bachelorette party, or seasonal event. These areas include: Washtenaw County, Macomb County, Shelby Township, Rochester Hills, Clawson, Farmington Hills, Farmington, Walled Lake, Lyon Charter Township, Frain Lake, Belleville, Garden City, Allen Park, Royal Oak, Ferndale, Commerce, Milford, Linden, Fenton, Auburn Hills, Rochester, Birmingham, Pontiac, Troy, Sterling Heights, Charter Township of Clinton, Harrison Charter Township, Warren, St. Clair Shores, Eastpointe, Taylor, Wyandotte, Grosse Ile, Woodhaven, Flat Rock, Luna Pier, Monroe, Maybee, Oakville, Township of Sumter, Romulus, Detroit, Dearborn, Dearborn Heights, Livonia, Wayne, Wixom, Commerce Charter Township, West Bloomfield Township, Waterford Township, Worden, South Lyon, Whitmore Lake, Brighton, Howell, Parshallville, Fowlerville, Lansing, Pinckney, Dexter, Chelsea, Brooklyn, Grass Lake Charter Township, Manchester, Milan, Tecumseh, Clinton, Saline, Bridgewater, Ypsilanti Charter Township, Ypsilanti, Pittsfield Charter Township, Ann Arbor Charter Township. 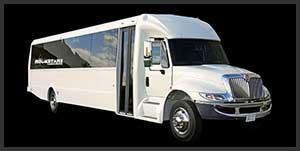 Call Rockstarz Limo to book your Limo Bus, Limousine, Sedan or SUV. Lavish Luxury awaits! Our Limo Service has been proudly serving Ann Arbor, Plymouth, and the surrounding areas in Southeast Michigan since 2007. We are unlike other limousine companies in the area in that we value customer service first. We are concerned with your safety, and with you having the very best time you can have while riding in one of our party bus or limos. Our corporate car service clients in South Lyon, Ann Arbor, and Livonia know that we only offer first class chauffeurs along with clean, well maintained sedans and SUV’s. Our cars and stretch limos are our pride and joy, and we want to give you the celebrity treatment every single time you book with us. 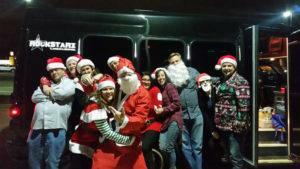 RockStarz Limousine and Party Bus is courteous, punctual and professional. We make sure you arrive at your event safely, timely, relaxed, and that you had fun and felt pampered like a Rock Star along the way. Call 734-386-6912 today to learn more about booking and rates.